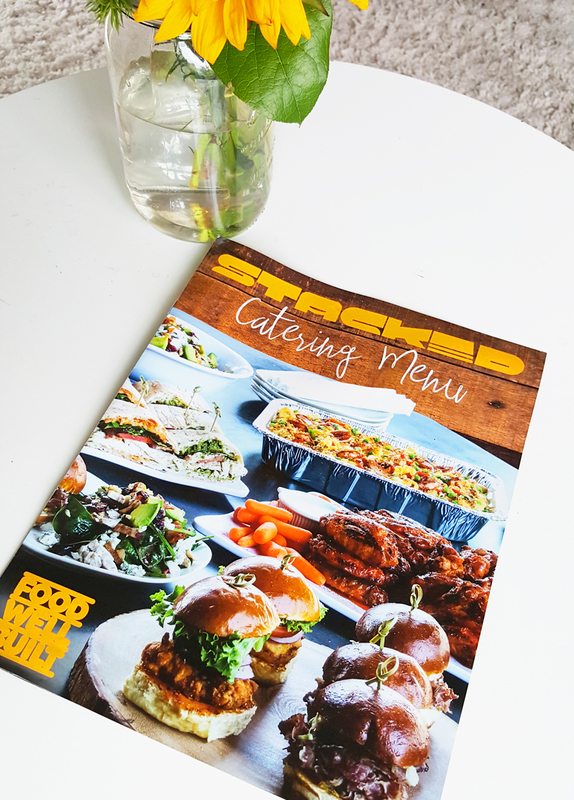 INTRODUCING STACKED CATERING! Plus win a $90 Gift Card to STACKED! First off our favorites these amazing sliders. The bread alone is buttery sweet and soft, made of only organic ingredients which makes it healthy right? haha. But seriously the FRIED BUTTERMILK CHICKEN SLIDER is mouthwatering. 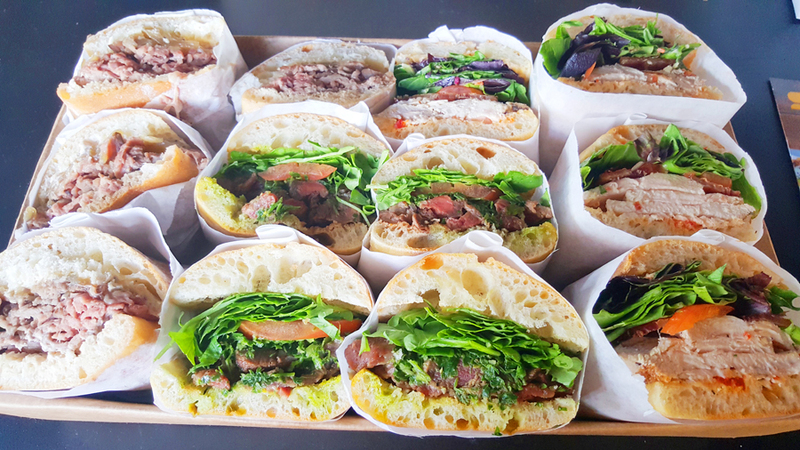 This sandwich is a mini version of their most popular sandwich and we can see why they added it to their catering menu. They also have Pulled Pork Sliders or Burger / Cheeseburger BYTES which our hubbys can’t live without. This is a sampling of their assorted sandwich platter. 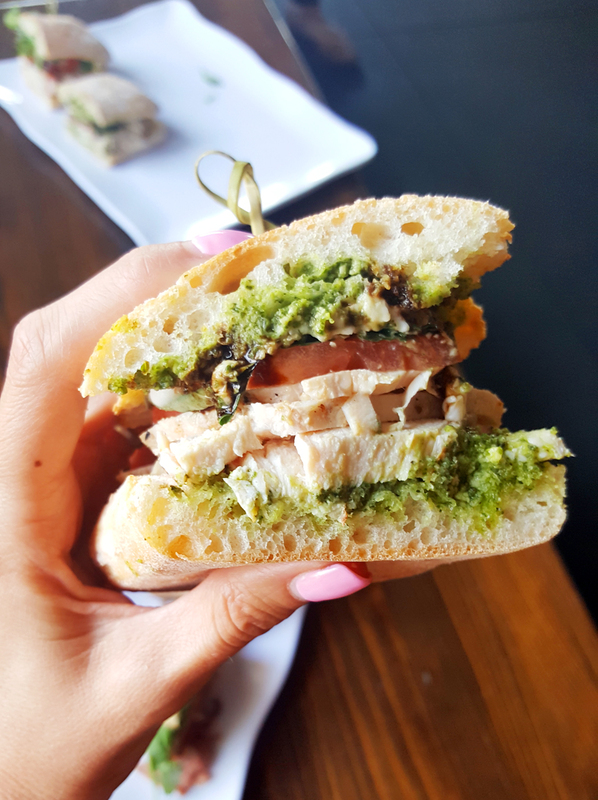 You have options of a Caprese Sandwich, Caprese Chicken Sandwich, Garlic Chicken Sandwich, Steak Sandwich, Chicken BLT or the Prime Rib Sandwich! So many options! STACK them any way you would like! This was our fav the Chicken Caprese… sooo yummy! Ok let’s talk Mac n Cheese. America’s favorite food! There are 8 CHEESY CHOICES of this delicious platter! You heard us….8!!! 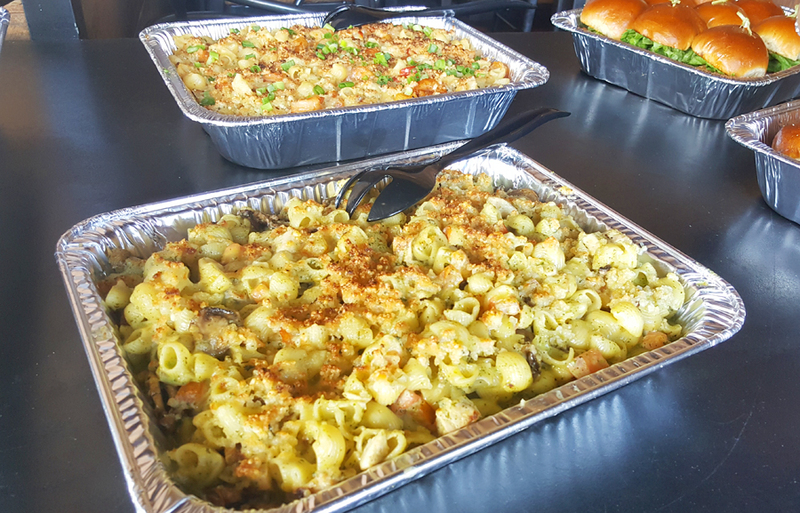 Here are samplings of the Shrimp Mac n Cheese and the Parmesan for your viewing pleasure! Drooling yet??? In Huntington Beach we love our salads. 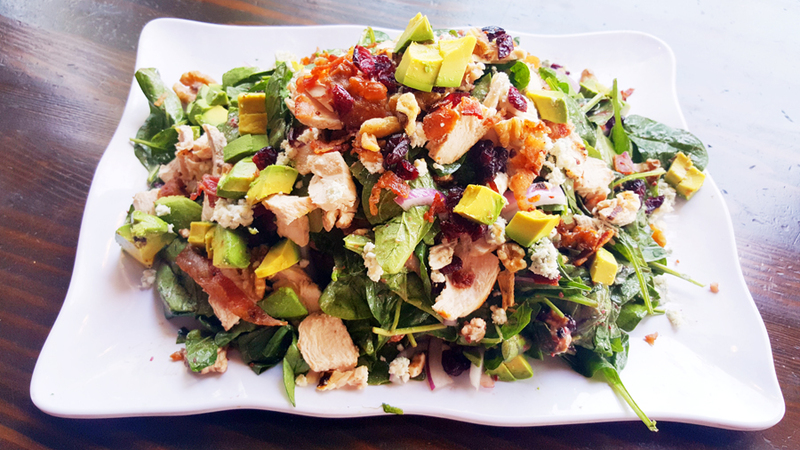 Check out this Cranberry Walnut Salad! With 10 different options to choose from you will be sure to find one you love. Next time youre heading to the beach, stop at STACKED first and grab your STACKED BOX LUNCH. You can STACK your own lunch with a sandwich, chips and a cookie. Perfect for on the go fun. When you are planning your next special event be sure to head to STACKED first to STACK your own event menu. CHECK OUT THE FULL CATERING MENU by clicking HERE. GIVEAWAY TIME! 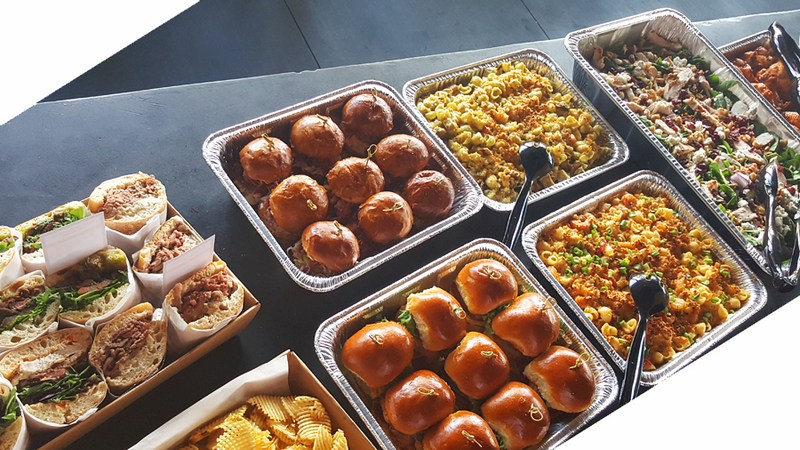 Win a $90 Giftcard to STACKED Huntington Beach to cater your next party or event! TO ENTER THE GIVEAWAY is SIMPLE! Head to our INSTAGRAM PAGE @WhenInHuntington by clicking HERE FOLLOW us and tag a few friends. It’s that easy! Then invite us to your party! haha. jk. But it will be a good party. Your friends will love you! « The Color Run Giveaway! I VISITED! 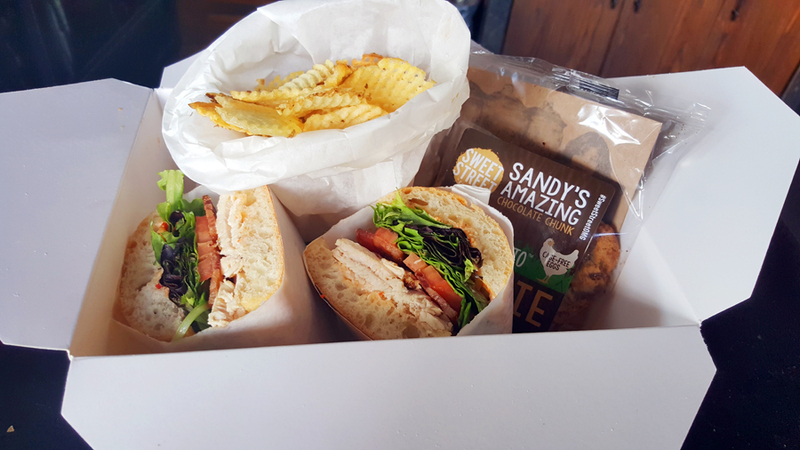 I would LOVE to try STACKED Boxed Lunch with a Garlic Chicken Sandwich! Sounds yummy! Everything on their menu looks yummy!